Day Trips and Travel Programs! Join us for the annual Sweetheart Weekend event. Have an idea for an alumni event? Let us know! 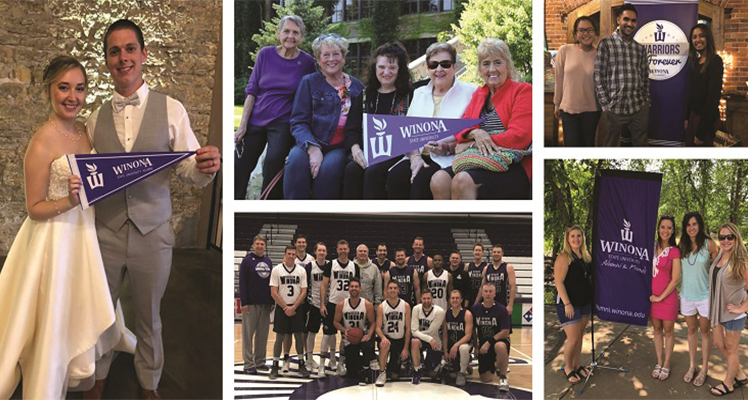 Alumni Relations is always looking for new ways to help alumni stay connected to each other and the University. Contact Alumni Relations at alumnirelations@winona.edu to start planning your event. Please note: Alumni Relations requests a minimum of six weeks notice to properly plan and market events. Return to WSU for the annual Homecoming celebrations. Registration for events is now open!